I was recently asked about the Labobbon cell phone EMF radiation shield product, so I wanted to write up a review of what we know, and whether or not it works. It is a fairly simple product, essentially a sticker similar to the Aulterra Neutralizer that you stick on the back of your phone, and it will reduce EMF radiation and protect you from it. Labobbon EMF blocking stickers are supposed to block up to 99% of EMF radiation from devices like cell phones and tablets. Let’s dive into a little bit about how this product works, and some of the benefits you will receive. Then we’ll talk about what others have to say about it. Labobbon Radiation Shield – How Does It Work? The way that the Labobbon works is a bit different than many of the other products on the market. For example, the Aulterra Neutralizer, which is a similar EMF protection sticker, works through the power of paramagnetic minerals that are supposed to make the EMF radiation easier for your body to absorb. The Labobbon sticker works releasing negative ions, which neutralize positive ions, and protect our bodies from the EMF radiation. This is similar to how many other products are intended to protect our body through the power of negative Ions. However I wish they had a bit more in the way of studies or research showing that this worked. Certified by the World Renown International Certification from the California Institute of Electronics and Materials Science (CIEMS: 1290721540). Unfortunately, they aren’t specific about exactly how these tests were conducted, or what they “certified” or “proved.” Which leaves us having to just have faith that the products were in fact certified to do what they say they should, which is to block EMF radiation. 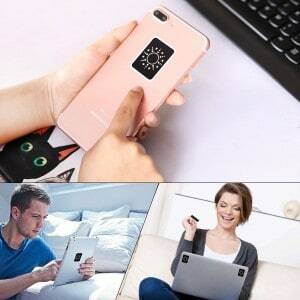 How Do You Use Labobbon Anti-Radiation Stickers? The Labobbon device couldn’t really possibly be any simpler to use. You just stick it directly on whatever device you want protection from. From what I can tell, it seems like it was designed primarily to work with a modern smartphone. So if you have a larger device like a tablet, laptop, smart TV, etc, you will likely want more than one sticker. As you can see from the image to the right (cheesy I know) you just stick it generally on the back center of the device, and it should provide it’s protection. You can also use this for many other devices of concern around your home, like your router, microwave, refrigerator, smart meter, etc. One other nice thing about the Labobbon design is that because it is so thin, you can actually use it under just about any cellphone or tablet case. Does the Labobbon EMF Protection Sticker Work? This is a little bit tough to answer, as there are not any published test results walking through exactly how, and if, this device works. What I can say is that many users have tested the device themselves, and reported lower EMF radiation levels. Using devices like the Trifield TF2, users were able to test the radiation coming from their phones before, and after using the Labobbon EMF stickers with better results. This seems a bit interesting to me, as the way the device is described, it sounds like it is supposed to make the EMF radiation safer using negative ions, instead of actually blocking it. Yet the product description also says that the Labobbon EMF shield also blocks up to 99% of EMF radiation. To me there seems to be a little bit of a concerning disconnect between these two concepts. 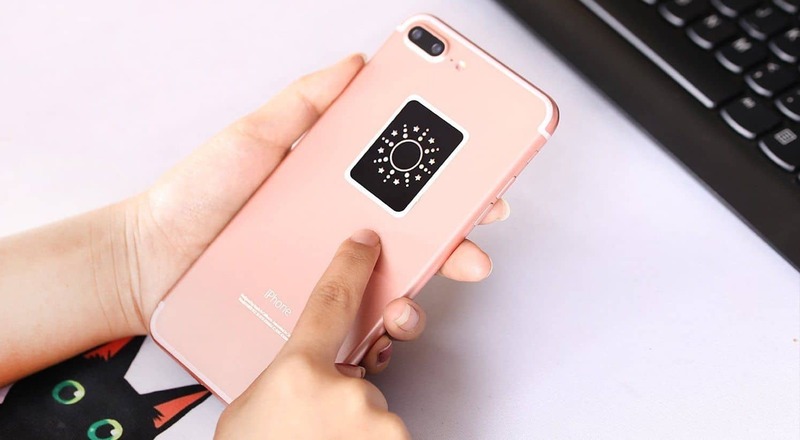 Overall the reviews seems to be extremely good for the device, and it is increasingly popular, so I would assume that there must be something to it. Where Can I Buy The Labobbon EMF Shield? The best, and practically only, place to buy the device is right here on Amazon. You can check out the current price and see what other people have to say about it.